LEE GREENWOOD says that his Dewsbury side will be taking amateur side West Hull seriously ahead of this weekend’s Challenge Cup clash. 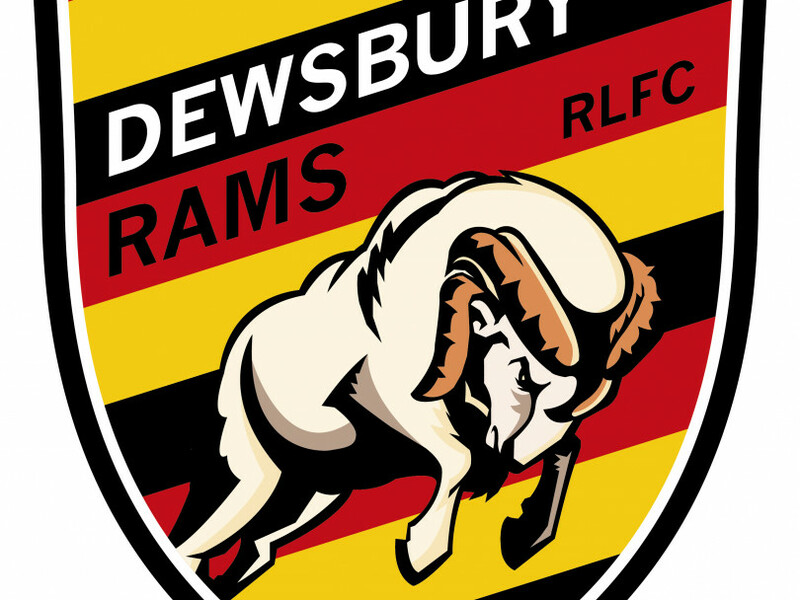 After picking up an impressive 32-22 win at Featherstone Rovers last week, the Rams host the National Conference side in the fourth round of the Cup on Sunday (kick-off 3pm). They will be expected to progress comfortably, but Greenwood anticipates a tough challenge. “We’ll take West Hull seriously, because I know quite a lot about them,” he said of last season’s NCL Premier Division Grand Finalists. “They’re a good side and they’ll probably come to Dewsbury looking for an upset, so we need to prepare right. The Rams boss hinted at changes to the team, with several members in a large squad looking for game time. “We’ll have a look at it and see if anybody needs resting,” he said. Greenwood was able to hail his side’s “best performance” of the year so far in the win at Featherstone, only their second of the season, and declared that “people will start to take us seriously” following the result. “I think that for the effort that the boys have put in for a lot of the games and not just today, we did need that win,” he said after the game. “I think it was the manner of it as well, we actually looked really good. The others have been at home and we’ve dogged it out just to try and make it tough for the other team, stuck in there, kicking penalty goals and just crashing over for the odd try, whereas today I thought we actually looked good. “There were really good signs of that half-back combination working (with Paul Sykes and Liam Finn), and we’ve got some big ball-playing guys out wide as well. “We feel like we’re a good side, and we changed the way we played slightly to combat what Featherstone would throw at us and to cause them some problems. “There was a patch where we got in front and then went behind pretty quickly, and I’m sure all the lads were still doubting whether we were going to crumble and throw it away. “Good determination from the boys as well because we were down to 12 men for the second try. That showed a bit of character, and that’s what I’ve been asking them to show. The firmer conditions make it easier for any side to play good rugby compared to the mud baths of the early months of the season, but Greenwood is particularly pleased with how things are shaping up for his side heading into spring. “It was windy but underfoot it was a bit more firm for both teams to play slightly different. That’s the first time anyone would have seen us playing like that, because it’s the first time I’ve ever seen it as well,” he said. “It’s the first time it hasn’t been ankle deep in mud so you saw a little bit of rugby played by us. We scored a couple of nice tries and looked decent throwing the ball around. “We’ve shown that we can do it tough and keep it tight, but we’ve shown there that we can throw the ball around well and cause teams problems.